Creation Presentation with Eric Hovind from Creation Today at Redeemer Church in Milton, FL. 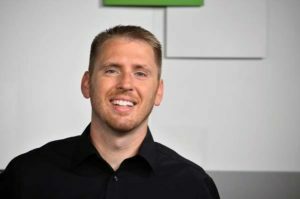 Eric Hovind grew up immersed in the world of apologetics. Following college graduation in 1999, he began full-time ministry. As the President and Founder of Creation Today, Eric’s passion to reach people with the life-changing message of the Gospel has driven him to speak in five foreign countries and all fifty states. He lives in Pensacola, Florida with his wife Tanya and three children and remains excited about the tremendous opportunity to lead an apologetics ministry in the war against evolution and humanism. Much like a 21st-century Apostle Paul on Mars Hill, in June of 2013, Eric stood on the first monument to atheism in America to proclaim the Gospel of Jesus Christ to the atheist community. Creation Today is a Bible-based ministry dedicated to impacting the world to KNOW the Creator — GOD!